If you’re reading this, we can only assume you have recently asked or answered a very exciting question and are looking forward to saying “I do” soon. If that’s you, congratulations! We know planning a wedding can be stressful (and expensive). We strive to make our New Hampshire elopements just the opposite. Keep reading for all the information you need to plan your big day at Chesterfield Inn! We’re located just two hours from Boston and four hours from New York, so getting away from the city for an intimate elopement will be simple! 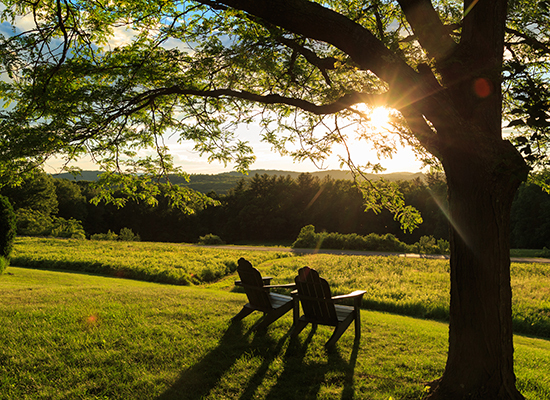 Make the trip to our quaint New Hampshire inn any time of year. 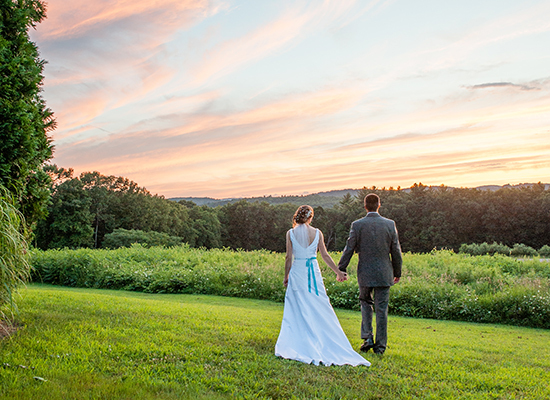 No matter what season in which you say your vows, we’re sure the scenery will be gorgeous. Summer is warm and sunny, autumn brings crisp weather and breathtaking foliage, winter is always a cozy winter wonderland, and spring promises new blooms and singing birds. Stunning ceremonies can be held outside in the garden on the blue stone terrace or inside by the fireplace during cooler months. When you choose to elope at Chesterfield Inn, you choose to elope stress-free! Our affordable package for two is just $700 and includes all the important components needed for the picture perfect day. A gorgeous bridal bouquet, delicious wedding cake, sparkling wine, candlelit dinner for two, and the Justice of the Peace fee are all included. You can make the fun decisions like the cake flavor and flower color, and we’ll handle the rest! The only thing you’ll have to do is focus on remembering every precious moment of the day. If you’re looking for a wonderful photographer to capture your elopement, we recommend booking the lovely Emily Esslinger of Golden Aura Photography. When your special day is through, you can continue the celebration with a romantic honeymoon right here at our charming NH bed and breakfast. We have a variety of guest rooms for you to choose from for your wedding night. 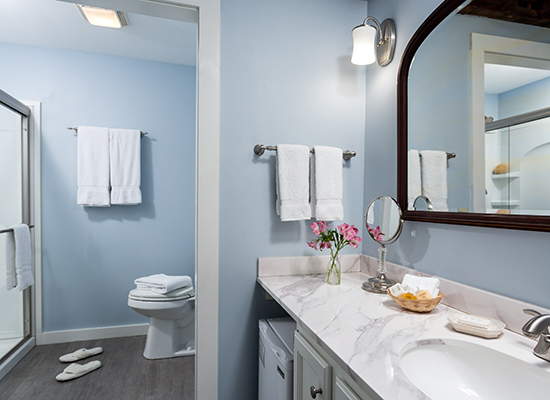 Select a room with a whirlpool tub, fireplace, private deck, or all three. A full breakfast is included each morning of your stay, and we can serve you breakfast in bed on the first morning of your life together if you’d like! After waking up refreshed and in love, spend some time exploring the area with outdoor activities, great shopping, wonderful restaurants, and more. Plan your honeymoon or romantic getaway with help from our list of top New Hampshire attractions. You will never be bored! We have had the pleasure of hosting dozens of elopements over the years. We are always delighted to help a couple start their lives together in the most memorable way possible. Our reputation speaks for itself. Read what one of our wonderful guests had to say about eloping at the #1 hotel in West Chesterfield. We want to hear from you! Tell us about your elopement vision and we’ll help make your dream day a reality.